Patients who are referred to Forever Fit Physical Therapy and Wellness have common diagnoses such as arthritis and osteoporosis. What is the difference between the two? Let us find out! 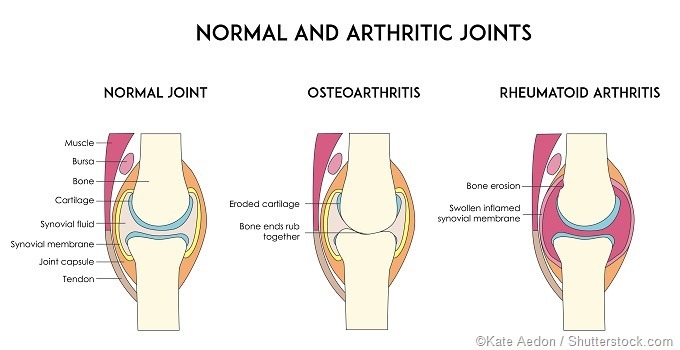 First, let’s break down the two terms of arthritis and osteoporosis. In the word arthritis, the root word arthr- means joint and the suffix -itis means inflammation. Therefore, the entire term arthritis means inflammation of the joint or joints. 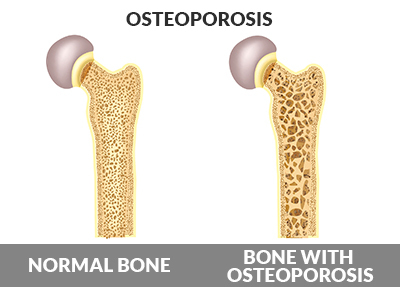 In the word osteoporosis, the root word osteo- means bone and the suffix -porosis means porous. Therefore, osteoporosis means porous bones. Now that you have a quick definition of the two, let’s break down the diagnoses even further with an explanation of treatment! Osteoarthritis (OA) - A degenerative joint disease due to overuse of injured joints on a repeated basis. The first symptom of OA is pain after exercises or after being sedentary for a prolonged period. Common locations of OA are the hips, knees, neck, lower back, or small joints of the hands. Rheumatoid Arthritis (RA) - An autoimmune, inflammatory disease in which the body releases enzymes that attack its own healthy tissues. RA is typically found in various joints in the fingers, thumbs, wrists, elbows, shoulders, knees, feet, and ankles. Osteoporosis - According to the National Institutes of Health (2016), Osteoporosis, also known as the “silent disease” is a condition in which the bones become less dense and more likely to fracture. Osteoporosis is typically only painful if a fracture occurs. It can result in a loss of height, severe back pain, and change in one’s posture. Osteoporosis can impair a person’s ability to walk and can cause prolonged or permanent disability. Arthritis and Osteoporosis may both benefit from physical therapy and rehabilitation. Both plans of rehabilitation entail strengthening of the affected area as well as stretches to relieve the stress and inflammation of the joints or bones. Ultimately range of motion may improve as well as posture. For those with osteoporosis balance and fall risk reduction are also an important component of treatment. If you have any further questions regarding your symptoms or treatment of your diagnosis, feel free to schedule an initial evaluation with us or a free 15-minute consultation. We look forward to speaking with you!